The Magnificent Seven need you. Why? Sit back and read on! The band want to include your quotes and thoughts in the Sound of Madness tour programme which will be accompanying the forthcoming tour. If you can spare just a few minutes please fill in this quick questionnaire and email it to baggytrousers666@gmail.com along with a picture of yourself. Thank you! 1. Please tell us your name and home town. 2. In one or two brief lines, explain what you like about Madness. 3. 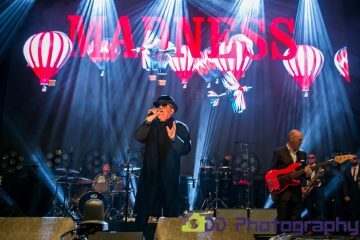 What is your favourite Madness song / album / lyric? 4. Roughly how many times have you seen the band live? 5. Which show(s) will you be attending on the Sound Of Madness Tour? 6. What is the music scene like in your area? Any hot local bands / singers / venues you want to recommend? 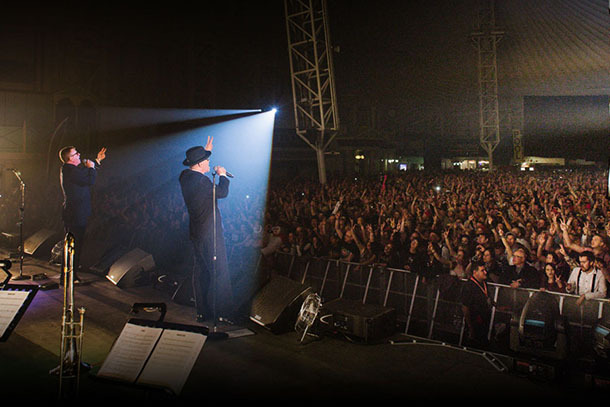 This could be your chance to to be a part of Madness history. So, what are you waiting for? Nip off, answer those questions then get yourselves back here. Tuesday 18th, December, Hull Venue, Hull – SOLD OUT! Saturday 22nd December, Brighton Centre, Brighton – SOLD OUT! “Meet the Legendary Sax man” at this QnA musical career discussion event. Saturday 22nd December, The Dublin Castle, Camden. No Lee, as this is the date of the Brighton Madness gig. A brief advanced warning that we will be scaling down the Retro-Madness shop from midday this Wednesday, for potentially about 5 weeks. The shop will still be open for these 5 weeks but with only approx 100 different items available instead of the usual 3000! Similarly our Ebay listings will also be scaled down from 1000 to 100 over the same period. From mid November we will be mainly focussing on the stock that we will be taking to our pop-up shop in Minehead at the end of November. So it’s possible that after this Wednesday we may not make the full range of 3000+ items available again until December. “After a bit of messing about…”, says the new advert for Suggs Movie DVD of his One Man Show, which now has a new release date of November 2018. This opening line is the admission that a delayed March release, a lack of updates before August 10th, and a rejig of both the pledge campaign account and the team behind the release have all taken place. Now that the Pledge is relaunched though with a new release date of November, and with a fresh launch event to take place at the Pleasance Theatre in London we feel that now is the time to add this back in to our regular “Buy It” section. Further New T-shirts are now in stock for the summer. Including Madness Shorts as this hot weather continues to encourage getting your legs out. The recent Stately Holmes tour T-shirt is now in stock on line. A rather fetching Lady Killers poster of the old Ealing comedy about a gang of roguish bank robbers, re done with Madness heads taken from old shut up artwork and repurposed nicely in this fitting parody. A fetching Morris Minor car picture harking back to Driving in My Car video and the Mad 7 number plate, with the paraphrase lyrics from Muswell Hill to Selsey Bill! 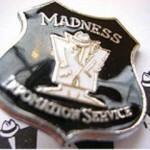 Check out the Madstore now. Past the usual intro, Showtimes and Buy It sections, this issue featured an article entitled “A Dog Called Dez”. 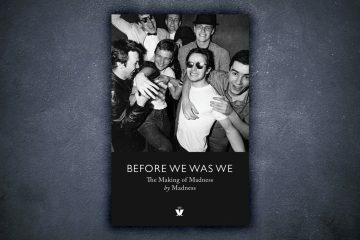 This was a touching story of a Madness fan and his guide dog, and how a book had recently been released about the two of them. 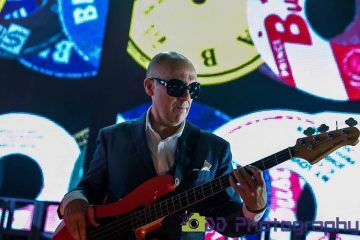 Moving on, and it was over to this week’s Live Intensified section, which covered the Lee Thompson Ska Orchestra at the Camden Jazz Cafe and a packed venue which had reached capacity. The crowd boasted such clientele as the one and only Mike Barson and the recently formed Magic Brothers. 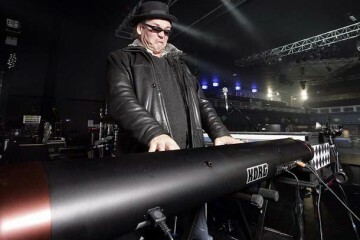 “Later in the show, Suggs is seen on stage with the band armed with a bottle of champagne, along with Lee. From my stand point, I cannot clearly hear what Suggs says although I think it’s along the lines of ‘congratulations’ as the purpose of the gig is to help celebrate their Book Launch. Suggs and Lee didn’t appear to sing or play along for any tunes, just bless us with their stage presence. 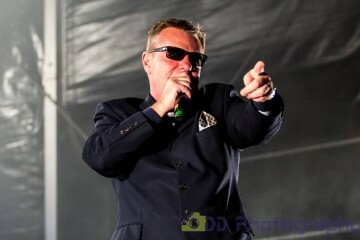 If those reviews weren’t enough, Fiona Linnell was kind enough to give us a detailed write up of An Evening With Suggs held on Thursday 31st October, while Looby emailed in with a detailed write up of The Lee Thompson Ska Orchestra gig which took place in Leeds on Friday 25th October. 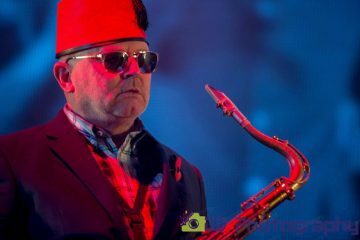 We brought this issue to a close with the news that Madness were due to appear on Soccer AM this coming Saturday (9th November), and a reminder from Dicka that for those attending the House of Fun Weekender at the end of the month, the fancy dress theme was “Song Titles”. Time to get your skates on if you’d not yet sorted your outfit. Summer may have been a long way off, but it didn’t mean that things weren’t already being planned for those longer and hopefully warmer days. “I had a recent conversation with Chris and the one thing he sad was in the works for next year is the next episode of the Madstock series. We had absolutely no idea what he meant by Huckleberry, but we certainly knew that this news was very exciting indeed. As usual, we promised to keep you posted on further developments. On to the articles, and we kicked things off with news on the eFestivals web site that had Madness down as “strongly rumoured” at appearing at the following year’s Glastonbury Festival. The web site had the previous year’s line-up almost spot-on, many months prior to it being officially announced. Time to cross those fingers and toes! On to bootlegs, and while most people were using Google’s Blogger system to report on day-to-day goings-on, one Madness fan was using it as a way to share details of Madness bootlegs to the masses. Entitled The Madboot Archive, the owner refused to deal in making commercial material available, and actually, no audio was available for download. Instead, only the artwork and tracklistings had been uploaded. At the time of reporting, a whopping 37 bootlegs were listed. We brought this issue to a close with the news that Birdseye had created a Flash enabled web browser game starring Suggs. Playing in a similar way to the 1983 arcade classic Tapper, this game was a pale imitation of the Bally Midway eighties classic. As always, we’d spent the previous seven days scouring numerous sources for any Madness related news we could get our hands on, but it was one of those weeks where Madness related news didn’t exactly flood in, meaning we had to make do with a slightly slimmer than usual issue. Still, in true MIS style, what we did manage to dig up, we packaged together in this latest issue. “10. One last thing about Concorde. The world record for putting a golf ball is held by Suggs, the former Madness singer. In the time it took his putt to go from one end of the plane to the other, the plane had travelled five miles”. “Former” Madness singer? Had the boys got themselves a new frontman and just not told us, or was this once again a case of bad journalism? Only you, the readers could decide! On Wednesday 29th October Suggs appeared on Phil Jupitus’ breakfast show. Feeling a little delicate after a heavy night at Rod Stewart’s new musical the Madness frontman chinwagged about the 25 years of Madness, the Madness musical, the Christmas tour, and more. Suggs explained that it was difficult to get the band together for a tour, let alone to practice. He also said that Madness seem to be very popular `with the great un-washed` around Christmas time. 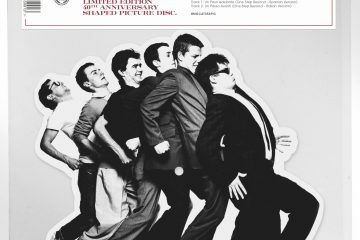 Looking back over previous Christmas tours Suggs mentioned that the band organised an series of under 18’s gigs. Instead of a support act the band brought in a magician who managed to withstand 3 gigs before refusing to come back. 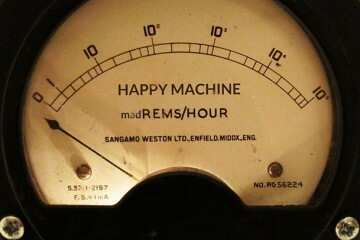 The Madstock `Earthquake in North` London was discussed, and raised a few laughs. Suggs explained that this was due to there being an underground like underneath Finsbury Park. 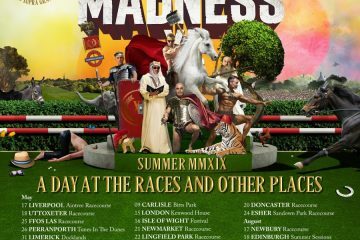 Phil mentioned the Madness web site and the fact that the fans could vote what tunes the band should play. Phil said suggested `Victoria Gardens`, and Suggs explained that this would go in there, and would be called `Victoria Phil Jupitas Gardens`. Phil also suggested `Keep Moving`. Elsewhere, and it seemed that a certain Carl Smyth was getting into the whole seasonal spirit (no pun intended) of things with no less than two Halloween related competitions running on the web site. First up was the `Jack O’Lantern Hunt` where you had to find the seven pumpkins on the site. When you found a pumpkin, you had to make a note of the page it was on. Once you had found all the pumpkins you then had to send an e-mail with the locations on to info at chassmash.com. The prize for the first name out of the cauldron was `Take it or Leave it` on DVD. The other competition was the `Spooky Season Competition` where you had to answer 9 questions posed by site visitor Birchy. Three prizes were available, so those who entered had a good chance of winning. Finally, we wound up this week’s issue with a last minute reminder that those who wanted to submit songs for the band to play during this year’s Christmas tour only had until the 5th of November to submit songs for the band to practice. I’ve been looking forward to this gig since it was first announced. I got to the Dublin Castle shortly after 6pm. Had a chat with Lead vocalist Chad Strentz outside and I was invited into the back room to watch the Soundcheck. After the band each went through their instruments they played three songs, Something, Can’t Get Up and Stand-alone. The front of the DC was quite busy and I saw a couple of familiar faces in there. After a while the back Room doors were opened for people to go into the gig. Slowly people started coming in. In the audience were a couple of members of The Silencerz including Daley Thompson. Unfortunately Lee was in Italy so I’m told, doing a Q and A. The DJ who was playing before the band was playing a selection of rock n roll and rockabilly numbers and a couple of reggae tracks also. Then it was time for The Tremolites to take the stage. They started with Killer Diller, an instrumental number to warm the crowd up before the singers join them onstage. 17 songs played in total including LTSO favourites Feel A Little Better and I Am King. After the band had finished Wendy May took to the DJ booth to finish the night off. A great evening seemed to be had by all. It was quite a good turnout in the end and everyone seemed to enjoy themselves. Roll on the next one. If you get the chance to see The Tremolites then I urge you to do so. And on the Tremolites Facebook page. Madness have recorded brutally honest songs with grime superstar Skepta. A fascinating glimpse into the extraordinary life of Suggs, frontman of revered ska band Madness, was given to a riveted audience at Weston-super-Mare’s Playhouse Theatre last night (Tuesday). We send our congratulations to Suggs and his friends for raising nearly a quarter of a million pounds for pancreatic cancer charities at the recent musical fundraiser. Emilee Sande joined Suggs and Ali Campbell for the event which went down a storm to a sell out crowd this week. Here’s hoping another fundraising event will be arranged for 2019.